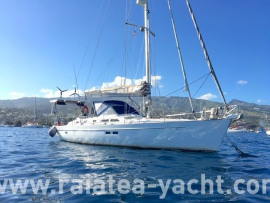 Sun Odyssey 51 in excellent condition, in New Caledonia €117,000 / XPF 14 M.
20/04/2019 The Lagoon 52F is online. 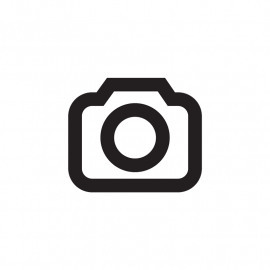 17/04/2019 Price drop for the Blue Sky 51 One-Off • RY checked. 17/04/2019 -30% ON PRICE LISTED • SPECIAL OFFER MAY 2019! *LOC/RENTAL Oceanis 343 • -30% OFFRE SPECIALE. 12/04/2019 The Océanis 42 CC is online. 04/04/2019 The Dufour 35 A is online. 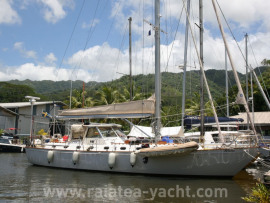 27/03/2019 The Nautitech 40 DL is online. 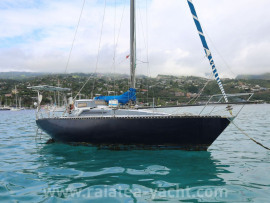 26/03/2019 Price drop for the Sloop bois moulé 12 m.
20/03/2019 The Oceanis 461 M is online. 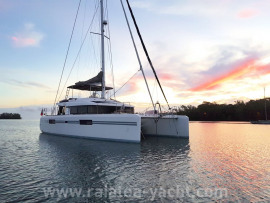 18/03/2019 The Melody 34 S is online. 11/03/2019 Camper&Nicholson 31 for sale. Sound and classic. €20,000. Nous contacter. 08/03/2019 Price drop for the Punch 1250! 08/03/2019 The Ibildun 42 is online. 01/03/2019 The Zeus 45 is online. 28/02/2019 The Les copains d'abord 46 is online. 27/02/2019 Price drop for the Sun Fizz 40. 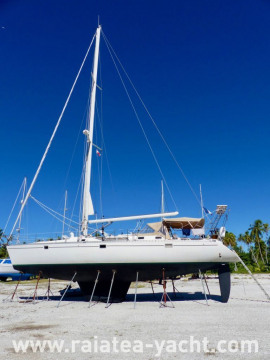 19/02/2019 The Catana 40S - VENDU is sold. 14/02/2019 On the Flea market: 15HP Yamaha, diesel heating, electric handle for winch. 13/02/2019 Price drop for the Nauticat 44. The owners wish to sell quickly. 13/02/2019 The Amel Super Maramu 52'5 is online. 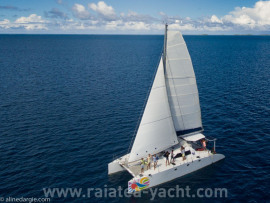 06/02/2019 You own a Catana 411 and want to sell ? Please contact us ! 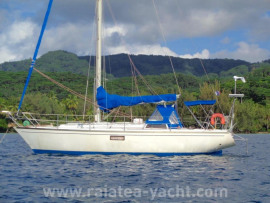 05/02/2019 Price drop for Rewa voilier one-off de croisière rapide. Now in the Caribbean. 05/02/2019 The Oceanis 38 • Etat neuf ! / Condition as new! is online. 01/02/2019 The Ovni 455 - VENDU is sold. Congratulations and thanks to the sellers and buyers for working with us. 31/01/2019 The Catamaran One-off 45' is online. 29/01/2019 The Oceanis 500 is online. 29/01/2019 The Ovni 435 is online. 28/01/2019 The Columbia 34 is back on the market, be quick ! 23/01/2019 The Galapagos 43 is online. 21/01/2019 The Bavaria Cruiser 46 • RY checked is online. 17/01/2019 Price drop for the Sun Fizz 40.